A Conservation Masterplan is Being Prepared for Asmara. Re: A Conservation Masterplan is Being Prepared for Asmara. The marine bio-diversity in the Red Sea spans from the unicellular phytoplankton seedlings to the enormous whales. Over 1000 different species of fish and 250 types of corals are found in the Red Sea. Besides, invertebrates, mollusks and gastropods as well as marine plants, such as the three different types of mangrove trees are among the major resources of the Red Sea. According to studies conducted over the past 25 years, it has been confirmed that the depth of the Eritrean Sea is also a haven for 11 types of sea grass, five types of marine turtles, as well as over 72 different marine bird species. Furthermore, 17 different types of sea cucumber with high economic significance are found in the Red Sea. Sea turtles are some of the very few creatures that have survived the global climatic changes over a long period of time. Five species of sea turtles are found in the Red Sea at large, while two of these species are located in the coasts and islands of the Northern Red Sea Region. According to research conducted by the Ministry of Marine Resources, 70% of the 110 islands used by the sea turtles to lay their eggs are located in this region. The sea turtles lay their eggs most frequently and in a relatively bigger amount on the islands of the Dahlak archipelago, including, Mugedih, Awka, Dahlet Segala, Reyuma and the Desie island. Similar to the land mammals, there are also marine mammals, such as the wale, dugong and dolphins, mostly known for their size. These types of fish are traditionally known as ‘Erum’ or ‘Abu-Tewila’, around the Dahlak islands. The dugong are mostly found in the Northern part of the sea including, Marsa Ibrahim, Marsa Gulbub, Marsa Mubaarek, Marsa Teklai, as well as Berite and Ras Kesar, while on the central part of the sea, the dugong are found around the islands of Harat, Dihil, Dahlak Kebir, Dirguma, Erafaile and Engel. The local fishermen use the skin from the dugong to make shields, hard cover for books and as shade, and the inhabitants of the Nora Island use it to protect their underground hobs from wind. According to the local fishermen, the number of the dugong is dramatically decreasing for various reasons. Whales are the biggest of all the marine mammals in size and have the most suitable body structure for swimming. These creatures use their lung to breath. They are mostly found in the North-Eastern part of the Dahlak Island, island of Sigal and Mugedih. Dolphins are also found in abundance in every part of the Red Sea. The Red Sea and its coastlines are favorable for marine birds. Coastal birds and sea birds have unique characteristics. The birds that migrate from the cold weather in Europe find the tropical warm climate of Eritrea favorable for breeding and gathering food. Hence, the Northern Red Sea Region is endowed with islands and coastlines preferred by many migrating birds. Some of the non-migrating bird species that live in the marine and coastal territories of the Red Sea are crab, plover, western riff and heron. According to research, 74 bird species inhabit in the marine and coastal areas. Twenty-two bird species breed in various islands and seashores in the spring season. Hence, around 250,000 birds breed in the spring season alone. The importance of marine and coastal birds is vast, including their contribution to tourism and augmenting the bio-diversity. Small pelagic fish, such as anchovy and sardines swarm in millions to and from the coast or the gulfs and the sea during the Bahri rainy season, when floods drain from the eastern escarpments to the Red Sea especially from November to March. In the winter season, however, the small pelagic fish swarm in a relatively smaller amount. Last edited by Zmeselo on 13 Apr 2019, 14:11, edited 1 time in total. Eritrea’s national development strategy is one that aims at an inclusive and sustainable growth, whereby all nationals move forward at the same pace and benefit equally from the implemented national projects. MIHAP (the Minimum Integrated Household Agricultural Package), is a development project aimed at boosting small farmers’ endeavors. The package was first introduced in 2013, by the Eritrean Ministry of Agriculture. Since its implementation the package has been evolving, introducing new components and registering speedy progress for involved farmers; as well as an increase in the number of farmers ready to introduce the package in their livelihoods. East Africa, is a region inflicted with cyclical drought. In this part of the continent, rain-fed agriculture is a gamble as it is not only irregular but also unpredictable. For Eritrea, with over two thirds of its population relying on traditional means of farming the story is not that different; uneven and erratic distribution of rain fall, absence of perennial rivers or streams have all aggravated the overall annual income of farmers. Agriculture, nonetheless, plays a central role in the economic development of Eritrea. Increase of farm production can guarantee food and nutrition, income and employment as well as surplus for local markets and for export. The philosophy behind MIHAP is that in a situation where rains are unpredictable, in terms of amount and distribution, the best bet for the small holder farmer is to harvest rain water in the form of micro dams and use the water sustainably for farming and supplementary income generating activities. By providing small farmers and households with necessary support and knowledge, the project familiarizes farmers with small scale and sustainable production cycle with minimal investments based on a pass-on and rotation. This means adopting small, integrated and intensive farming activities that do not need huge amount of finance. For each family, the size of the designated plot of land is not bigger than a quarter of a hectare. Integration in this case means producing plants and raising animals in the family’s farming endeavors. Intensive in the MIHAP language expresses the cycle of production within the year. 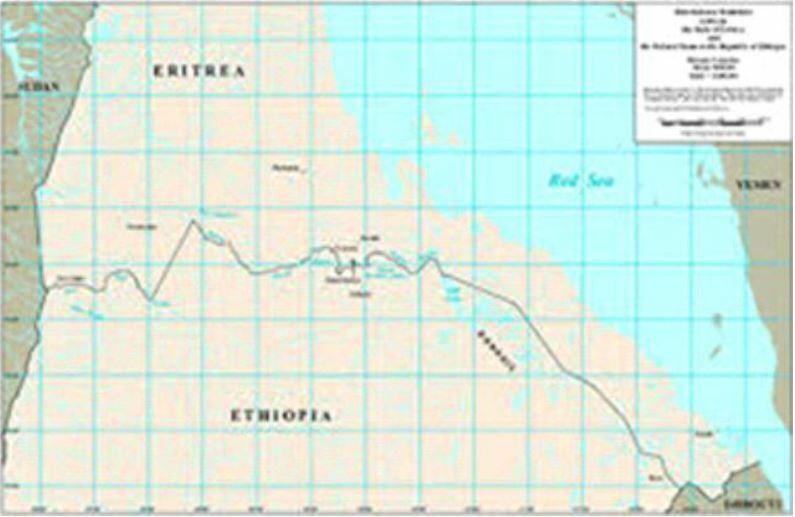 In Eritrea’s case, the production cycle for crops or other farm products varies according to the landscape; twice in the lowlands and three times a year in the highlands and midlands. According to where it is implemented, MIHAP takes into consideration many factors including the climatic conditions of the designated areas. So far, MIHAP has been successfully carried out in five subzones of the Anseba Region including Habero, Hamelmalo, Elabered, Gelee and Adi- Teckelezan. Beyond farming, the package includes dairy farming, honey production as well as poultry. The plots of land given to the farmers, which are a quarter of hectares, are used for the production of green feed, crops, fruits and vegetable. Farmers receive a hybrid cow, goats, beehives and chickens. Within the package outline, families are encouraged to save a piece of land for growing cereals for the family, preferably planting highbred maize that can yield around 1.2 tons in two cycles on only 1000 square meters of land. With MIHAP’s implementation in the Anseba and Southern Regions of the country, each household is given the opportunity to acquire one selected local breed or six goats. Ownership of a cow is based on a pass-on program whereby the farmer gives back the first female calf of about one year which is, then, passed on to another farmer and so it goes on. The package also includes the provision of twenty five chickens per family only three of which are hens, two beehives, a plot of land for growing vegetables and twenty trees, of which ten are fruits, five leguminous trees and the last five trees are used as fire wood. All of this is in addition to the plot of land reserved for crops, vegetables and fruits which contribute to the bulk of nutrition. As for the dairy production MIHAP introduces the farmers to a smart and sustainable way of handling dairy. The most crucial issue is for farmers to concentrate on one or a couple of improved dairy hybrid cows providing a minimum of ten to fifteen liters of milk per day instead of having four to five cows with low productivity. The family consumes 20% of the milk and the rest is sent to the market. Adding value to small scale dairy production is a powerful tool for reducing poverty. Raising the nutritional level and improving the livelihood of households and rural communities is a priority in MIHAP. The small farms at village level can be a way to add value to regional milk production. It can also create flexibility and provide a buffer in supply and demand with actual fluctuating milk prices. Therefore, many farmers prefer a more reliable income stream. Dairy producers in the MIHAP project are now considering on-farm milk processing in order to add value to their milk. Through this process, consumers find a variety of milk products while farmers find higher revenue. The other component of the package is the back-yard poultry which is very pliable in the Eritrean context as traditionally countless families are familiar with the backyard poultry farming for household consumption and sometimes for the market. Eggs provide nutritious food for the family and the rest can be sold on the market. Eggs produced by local hen-breeds command premium price in the local market because of their good quality. Honey is a very nutritious and organic food. It can be used by the family and the huge surplus can be easily sold as the demand for organic honey is high. What MIHAP does, most importantly, is provide a solution for farming families included in the package. The families will have milk, eggs, meat, vegetables, fruits and honey in their backyard for personal consumption, a formidable nutritional plan for families utilizing the package. Households selected for this package are those who have a small plot of land around sources of water. Moreover, households interested in this package are invited to settle close to water points. The package offers farmers both economic and social benefits. Farmers take benefit of this package to obtain sufficient food supply for their families and provide adequate supplies for at least four other neighboring families. That being the minimum expectation, farmers are often times more than capable of putting their products to local markets. They every so often make their way to the markets of main cities, even Asmara. Farmers included in the MIHAP package play a big role in increasing the supply of agricultural products to consumers, helping stabilize markets. The package is constantly evolving to include the improved stove that uses the bare minimum fire wood, solar lighting, latrines, compost energy and more. If this package continues to evolve uninterrupted it will enable farmers become self-sufficient, provide food and financial stability at household and community level, and provide employment for family members and members of the rural communities as a whole. This means MIHAP will guarantee the decrease in the number of persons living below poverty line in targeted areas. While at the same time it will encourage an increase of income of targeted beneficiary households. MIHAP also attempts to reduce the prevalence of underweight and malnourished children in targeted areas as well as to boost the number of families that meet the minimum household dietary requirement. The initiative assists the national vision of registering a uniform growth for the population, whereby education, health, social and economic growth are promoted. The Ministry of Agriculture and its stakeholders deliver the necessary funding while deploying awareness-raising campaigns to stimulate farmers and their endeavors. MIHAP, like other developmental projects of Eritrea, highlights adequate and resilient social growth for its people, the Eritrean way for ways forward! HEAVENESE BRIDGE will participate in Independence Day festivities of May24 in Eritrea: I hope you will enjoy their show. Last edited by Zmeselo on 13 Apr 2019, 19:56, edited 2 times in total. Zemeselo the bearer of good news. Thanks for blessing us with our daily gospel. You're welcome, my brother. It's a pleasure! The Eritrean Chemical Society conducted its 10th Congress yesterday, 12 April under the theme “Developing Chemical Science for National Development” at the Hall of Chamber of Commerce, here in the capital. Speaking at the event, Mr. Daniel Zemicael, President of the Society, pointed out that the objectives of the society include among others; developing chemical science and related fields, expanding chemical education, upgrading the skills of members. Mr. Daniel further indicated that the society is working to enhance organization capacity and helping members to increase contribution in the development of industries. At the Congress, several research papers were presented on electronic waste and disposal mechanisms, the types of honey in local markets, plastic materials, papers, and paints among others. An exhibition of various products made in Eritrea, was also on display at the venue of the Congress. The Eritrean Chemical Society was established in 1993 and comprises over 150 members. The main kitchen at the Allen Market Place is shown Jan. 18, 2017, in Lansing, Mich.
LANSING — By the end of the year, five culinary start-ups will share a storefront on Lansing's east side. The still-to-be-chosen fledgling food businesses will be the first participants in the Allen Neighborhood Center's new accelerator kitchen. The program is a bulked up version of the community center's incubator kitchen program, which started in 2014, said Joan Nelson, executive director of the neighborhood center. In the incubator program, participants rent kitchen space at Allen Neighborhood Center by the hour. The accelerator program will rent space by the month. Both programs allow participants to sharpen their business skills while perfecting recipes, Nelson said. The renovated kitchen and retail space at the center will hold five graduates of the incubator kitchen program. The new accelerator kitchen will have a small shared counter where patrons can order as well as a handful of tables and chairs, Nelson said. The idea behind the accelerator kitchen is to give chefs and cooks who are just starting out access to kitchen and prep space for much less than it would cost if they were going it alone. “The people that will be at the accelerator are those people who have not quite reached a level of success that would warrant taking on their own bricks-and-mortar operation," Nelson said. The accelerator should open sometime later this year, she said. Rahel Musa of Teff-riffic serves a customer, Jan. 18, 2017, at the Allen Market Place in Lansing, Mich.
Each business will have its own designated work space with lockable storage and small coolers. The businesses will share a commercial hood and range as well as ovens. The businesses within the space will set the hours. Along with access to kitchen space, members of the incubator and accelerator programs can also take part in Allen Kitchen To-Go, which offers take out meals to the public each Thursday. The businesses also take part in the center's year-round weekly farmer's market. The Michigan Good Food Fund and the Michigan Department of Agriculture and Rural Development both awarded the neighborhood center grants to help start the program, Nelson said. Among the 36 businesses that have participated in the incubator program, 75% are female owned and 33% are minority owned, Nelson said. A handful have gone on to open their own brick-and-mortar stores, such as Good Eats Diva in Haslett. There are currently 19 businesses using the incubator. Rahel Musa's authentic Eritrean and Ethiopian catering business, Teff-riffic, is one of them. She said the incubator helped shape the direction of her business. Musa initially focused on making products out of teff, a fine, ancient grain from Ethiopia and Eritrea. She made pasta noodles and pancake mix. But Nelson asked her to make food for Lansing's annual Be a Tourist in Your Own Town event, and people couldn't get enough of her cooking, she said. Musa said the 24/7 access the accelerator program offers would be a big boost to her business. She plans to apply for a slot in the new kitchen space. Taking part in the incubator program has given her confidence, she said, and allowed her to start her businesses without taking a big financial hit. "If it wasn't for Allen, I wouldn't be in the food business," she said. Contact reporter Haley Hansen at (517) 267-1344 or [email protected]. Follow her on Twitter @halehansen. All I say is I would not even remotely think of doing such a thing in Tigray. There are roman roads in countryside England, nobody would ever think of preserving them as history. English were slaves during Roman rule. Our Tigrai's Digital princess Semehal Meles Zenawi attended Stanford university too. We are not jealous of the Eritrean scientists at Stanford.